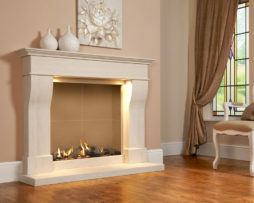 A combination of elegance and performance makes the Luxe an extremely desirable gas fireplace. 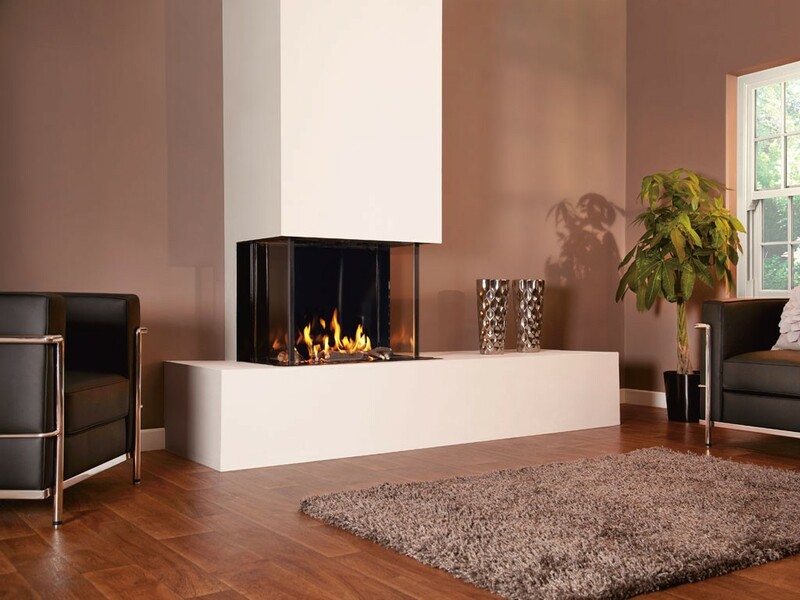 Its perfectly proportioned glass frame provides a three-side view of one of the most stunning flame effects available today. 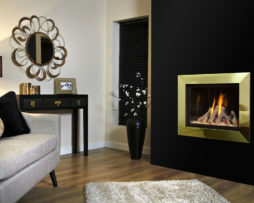 The Luxe features a driftwood fuel bed with glowing embers and a glossy black enamel back panel which reflects its enchanting flames and is operated by a stylish remote control handset with a thermostatic function which allows you to pre-set your desired temperature level so that you are never too cold or too warm. 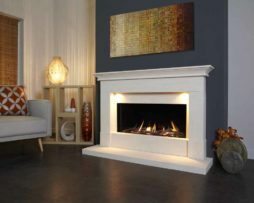 This balanced flue gas fireplace can be purchased with a choice of horizontal or vertical flue kit so can be installed almost anywhere in your home and offers an exceptional 77% net efficiency with a heat output of 6.7kW. Installation of the appliance is made easy with integrated adjustable legs and the option to purchase a false chimney kit consisting of metal stud work which can be clad with the fitters’ choice of high temperature plasterboard.